Therma-Tru Door Systems, exquisitely crafted, energy efficient, easy to maintain, and secure. Therma-Tru fiberglass doors are a durable alternative to wood or steel. Therma-Tru's AccuGrain™ Technology has given their Classic-Craft® entry doors the authentic wood-grain appearance. 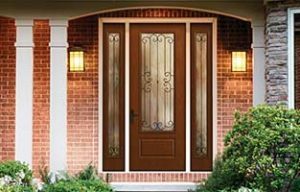 Therma-Tru Door Systems deliver all the benefits of a premium fiberglass door system including security, durability and energy efficiency. Video - ThermaTru - What are You Waiting For?